Your Gun Safe is Important, Not Only for Safety. As a firearm owner, there’s no better way to ensure your safety and security than by purchasing a gun safe for sale in Perth. Whether you opt for a no-frills safe or a comprehensive fire resistant storage solution, there’s no denying that a well made safe from a reputable supplier is an investment that will last you a lifetime. To get the most out of your safe, it’s vital that you keep it well maintained and take the steps necessary to reduce the risk of damage or malfunction. While most high-quality safes are engineered with durability in mind and are built to withstand the challenges of day to day life, the fact remains that safes are still susceptible to wear and damage. From the corrosion of materials through to malfunctioning locks and everything in between, there are many types of damage that can affect even the most robust safe. The good news is that performing basic maintenance tasks can go a long way toward keeping your safe in great condition. This may involve carrying out simple visual checks, cleaning the interior and exterior of the safe and getting the locking mechanism regularly inspected to verify the safe is still providing secure storage. As the leading providers of firearms and accessories in the Perth region, we’ve rounded up a number of things you can do keep your safe looking great and functioning smoothly. Depending on the model you’ve purchased, there’s a high chance that the lock on your gun safe features a number of moving parts. These components create friction when they rub against other parts of the lock which, over time, can cause them to stick or jam when you’re trying to use the safe. Thankfully, there’s an easy solution to this issue. Simply apply a squirt of lubricant to the bolts and slide them in and out to ensure they no longer catch during any part of the locking or unlocking movement. As a general guideline, you should aim to lubricate the bolts about once a year, but this can vary depending on how often you use the safe, environmental factors and more. Just be mindful of the lock and apply the Lubricant whenever you notice the bolts sticking more than usual. Regardless of whether you keep the rest of your home spick and span, it’s important that you take the time to clean your safe on a fairly regular basis. Cleaning your safe prevents the buildup of dirt, dust and other contaminants, which – in addition to creating an unsightly mess – may affect the performance of both your safe and the guns contained inside. Set aside a few minutes every month to give your safe a thorough cleaning. Using a non-abrasive cloth, wipe down every surface of the safe’s exterior, including the walls, handles, locks and any other physical features. Avoid using harsh cleaning products on the exterior, as they may damage the surface, particularly if the safe has a nice glossy or textured finish. Similarly, don’t use metal polish on the locks, as this can damage the anti-corrosion coating that many manufacturers apply to their locks. A damp cloth and a bit of good old-fashioned elbow grease is usually more than enough to remove even the most stubborn dirt. Your day to day gun bags contain foam inside them which draws in moisture from the atmosphere during use. When you finish up these bags go into the safe with your gun. Your firearm then draws moisture out of the bags which leads to corrosion of the firearm and parts, which may cause the firearm to malfunction or compromise user safety. SILICONE impregnated Gun bags are an effective tool for eliminating this issue. By storing your firearm in a silicone impregnated gun bag, you’re able to minimise the time it spends in contact with moisture and reactive gases, both of which can contribute to corrosion. In addition, a gun bag also offers a protective layer between the gun and hard surface, thereby reducing the risk of scratches and other superficial damage. While there are a few different solutions for combating corrosion, gun bags are a particularly effective tool because they take up very little space – a crucial attribute for gun safes, where space is so often at a premium. 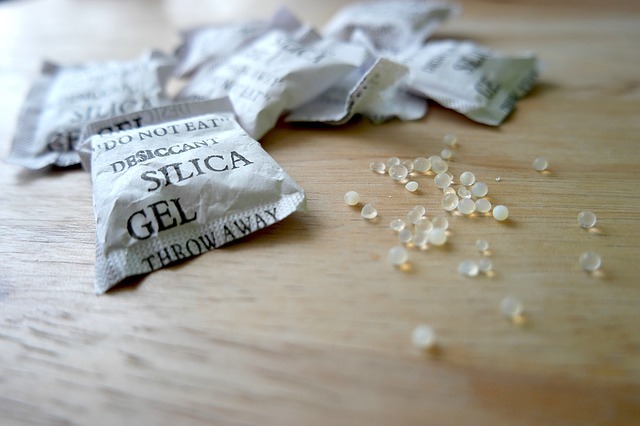 A desiccant is a curious substance that absorbs water from its surrounding environment. 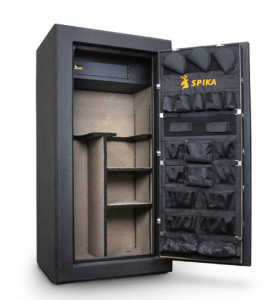 On first glance, it may seem as though these properties would make it the perfect thing to include in any gun safe, but the fact of the matter is that desiccants often create more problems than they solve. This is largely because all desiccants have a saturation point (the maximum amount of water it can absorb from the air). When it reaches this point, the desiccant ceases to absorb any more water. It is now little more than a bag full of moisture – the very thing you were trying to eliminate in the first place. Unsurprisingly, storing your metal gun in close proximity to these pockets of moisture isn’t a good idea and can actually expedite the oxidation process. Desiccants are effective at absorbing the moisture from your gun safe, but are unable to remove it from the space. Some lubricant brands are so ubiquitous across various industries that many gun owners fall into the trap of believing they can be used for just about anything, including gun maintenance. However, this simply isn’t true. Many of these lubricants operate by way of displacing water, which can be useful if you were using your gun in the rain or happened to drop your firearm in a puddle. Yes, they are effective at removing rust, but during the process these lubricants also leave behind a trail of liquid comprised of petroleum oil and other substances. After the initial application, the moving parts in your gun will feel super smooth, but this sensation quickly wears away as the residue liquid attracts dirt, dust and grime. This build-upof muck slowly gums up the gun and interferes with the moving mechanisms. Similar to the industrial spray lubricants discussed above, silicone sprays appear to be useful for gun maintenance but may actually introduce some significant issues. There’s no arguing that silicone is a great lubricant, but it can be very challenging to remove from any surface it’s applied to. This type of durability would ordinarily be considered a good attribute, but there are many instances in which it can interfere with other types of maintenance tasks you may need to perform on your gun. For example, if you ever needed to blue your gun, it’s highly likely that the retardant traits of a silicone lubricant would cause complications. In addition, silicone is extremely thin, particularly when compared to other lubricants. This means it wears off relatively quickly, leaving parts of your gun more susceptible to wear and damage. A Perth gun safe plays an important role in protecting your guns from unauthorised users as well as corrosion caused by moisture in the air. However, even the best gun safes will require some maintenance from time to time to minimise the risk of damage and ensure the locks are functioning as intended. By following the tips outlined in this article, you’ll be better prepared to keep your safe in premium condition. Do You Need A Gun Safe Perth? 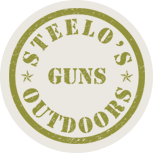 Here at Steelo’s Gun and Outdoors, we’re proud to offer an extensive range of gun safes in Perth. Contact the team today or drop into our store to discuss your options.